OST to Zimbra Converter Software has got exclusiveness technique to convert OST emails to Zimbra with maintains each meta properties and attachments. Outlook OST to Zimbra Software explains about steps to users to learn how to import OST to Zimbra and provides complete preview of OST items conversion to Zimbra. Assistances to Convert OST Emails, Contacts, Calendars, Task, Notes to Zimbra TGZ. Selective Folders/Emails Conversion- It capable to convert selective folders, sub-folders or emails from OST file to Zimbra. Generate Live Preview of Conversion- The Software instantly create live preview of OST Items to Zimbra conversion process. Not Required Any Third-Party App- Software doesn’t require any installation of third party app. alike- MS outlook, Zimbra, Exchange Server to Export OST to Zimbra. Save 15 Emails Free in Demo- Software allows save 15 emails per OST folders free under demo version. No Size Limitation Defined- OST to Zimbra Software easy to supports any size of OST file upto 1TB to perform conversion data into Zimbra. Maintains Folders Structure or Emails Formatting- While OST to Zimbra Conversion, it preserves OST folders hierarchy and emails formatting like- to, bcc, cc, time and subject etc. Well -integrated OST to Zimbra Software has the ability to provide safe and secure platform to convert emails messages from any type of OST File such as- corrupted, damaged, encrypted password protected OST File into Zimbra with each item such as- emails, contacts, calendars, task, notes and appointments. With each step of conversion, the software generates the preview of OST to Zimbra conversion before providing accurate result. OST to Zimbra Software easily scans OST file items and convert each folders items of OST files to Zimbra included- emails, deleted folders items, inbox items, outbox items, journals, task, notes, attachment and appointments etc. There the software provides facility to export essential items from offline- exchange OST file into Zimbra; make selection of items by check or un-check process and export each selected item from OST to Zimbra. OST to Zimbra Conversion Software has premeditated with state-of-the-art technology due to which it supports corrupted, encrypted password protected OST file to convert its data into Zimbra with maintains data integrity. Displaying preview of OST to Zimbra Conversion is the most batter feature of the software because it helps users to know about what items are going to convert from their OST file to Zimbra. It previews OST emails, contacts, calendars etc. OST to Zimbra Converter Software successfully convert OST emails included properties- to, bcc, cc, time, subjects and from etc to Zimbra. It is safe to use program for OST to Zimbra Conversion without losing data. 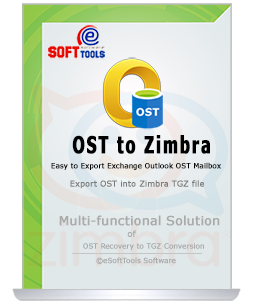 OST to Zimbra Software capable to recover emails from both ANSI or UNICODE Outlook OST file to convert into Zimbra. 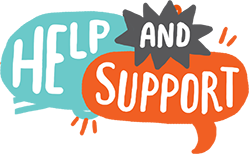 Software supports all OST file versions such as- 2016/2013/2010/2007 and below version. OST to Zimbra Software has been tested upto 1TB size of OST File for conversion data into Zimbra in lab. So, any size OST file can be converted into Zimbra with software and you will also get the preview of conversion. Demo Limitation - The Demo Version demonstrate you complete working process and facilitates to export 15 emails to Zimbra TGZ file. Verifies to load selected OST file and ready to convert ost to tgz. Software Ready to Export OST to Zimbra File. I have OST file created in MS Outlook 2016 that required to convert data into Zimbra will software convert it or not? Yes, the OST to Zimbra Software very easy supports all MS Outlook OST file versions such as- 2016/2013/2010 and below versions to export data into Zimbra. Will OST to Zimbra Software Extract Attachments items from OST file to convert into Zimbra? Yes, the OST to Zimbra Converter Software has ability to convert the attachments items from offline- exchange OST file to Zimbra. Instead of converting complete items can I convert selective Folders of my OST file into Zimbra using the Software? Yes, OST to Zimbra Conversion Software allows users to convert selective folders or emails of OST file to Zimbra or users can convert complete items. Is there data lose risk while OST to Zimbra Conversion? No, the software is free from all types of virus or malwares; it promises to keep data integrity while Export OST to Zimbra. Do I Need to Install MS Outlook or Zimbra Application to Perform Conversion process? No, neither you need to Install MS Outlook application nor install Zimbra to use the software for OST to Zimbra conversion process.